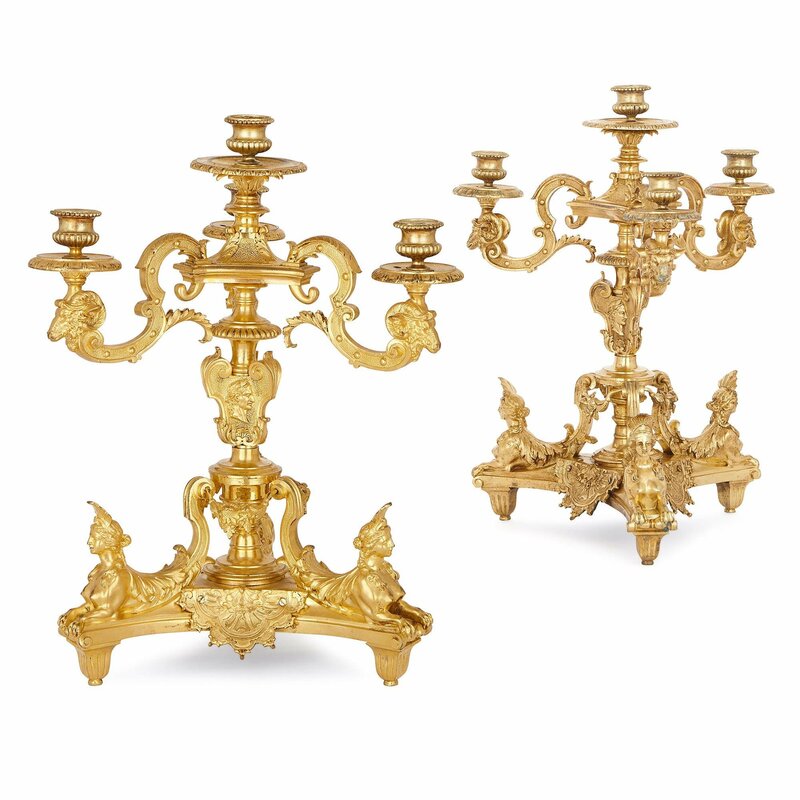 This fine pair of candelabra have been fashioned after works by the esteemed Andre-Charles-Boulle, whose model was itself based on a design by Jean Berain. 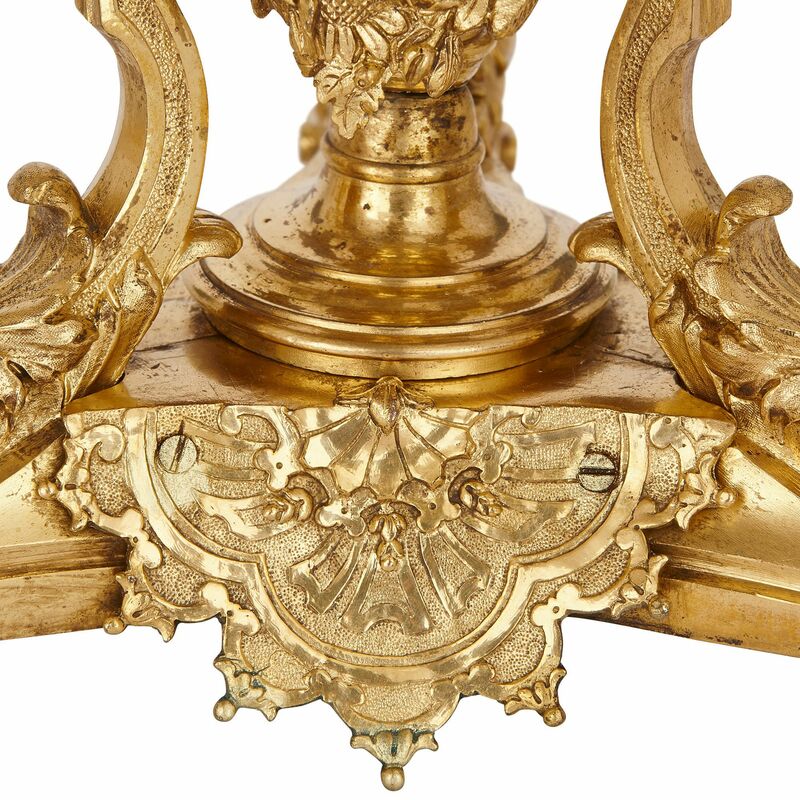 These ormolu candelabra each have four candle-holders, which rest on stems that stand on shaped, triangular bases. Each base is raised off the ground by three architectural, fluted feet. Three sphinxes — lions with women’s heads — rest on the arms of the base, and elaborate draperies hang between them. The sphinxes' backs curl upwards in stylised, scrolling forms which meet the bases of the stems. 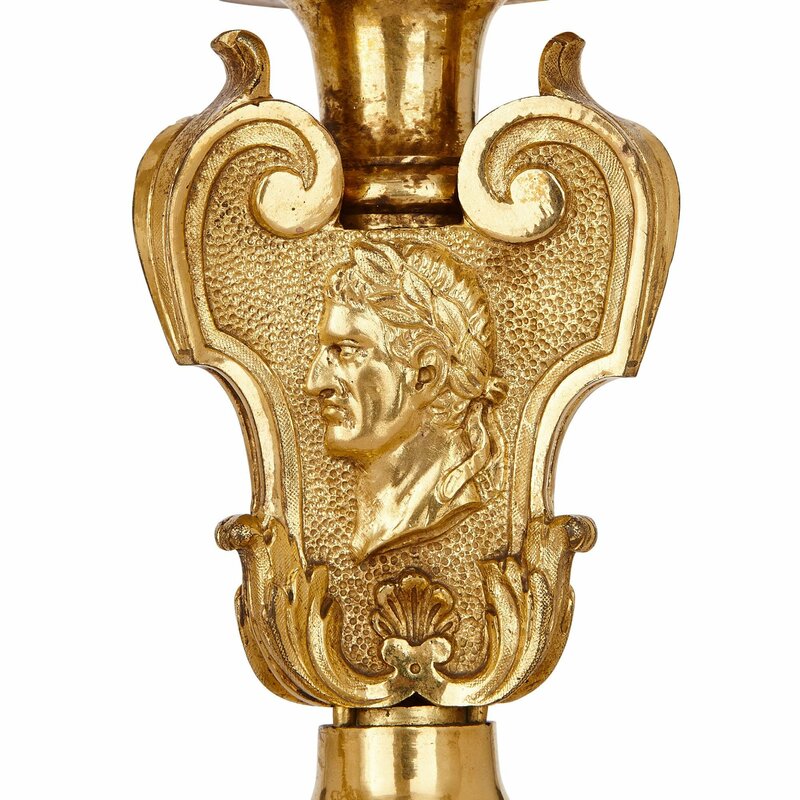 These stems are baluster-shaped, with shaped mounts at their centre, embossed with a profile portrait of a classical male figure, possibly a Roman Emperor. Each stem supports a triangular top, from which three arms spring. 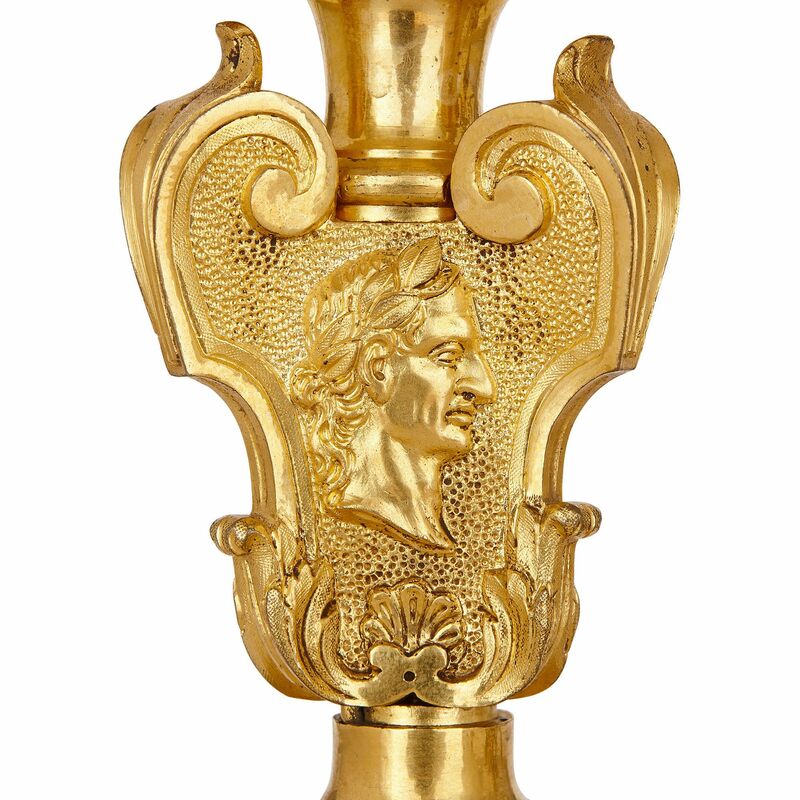 These strapwork arms scroll one way and then another, before terminating in rams' heads — the classical head of Aries — which support wide, egg-and-dart drip-pans, with urn-shaped capitals above. A fourth candle-holder, with a foliate stem and wide drip-pan, tops the stem. These two Louis XIV style candelabra have been created after a model by the famous 17th Century French cabinetmaker, Andre-Charles-Boulle. 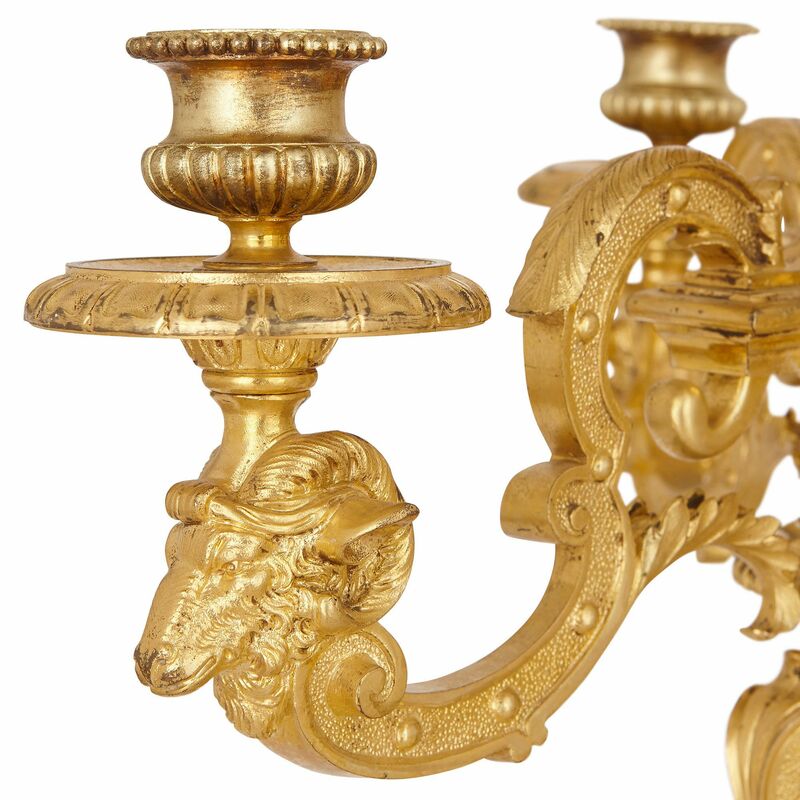 This earlier pair was itself based on a design made by the draughtsman and engraver, Jean Berain, who was active in France at the same time as Boulle. 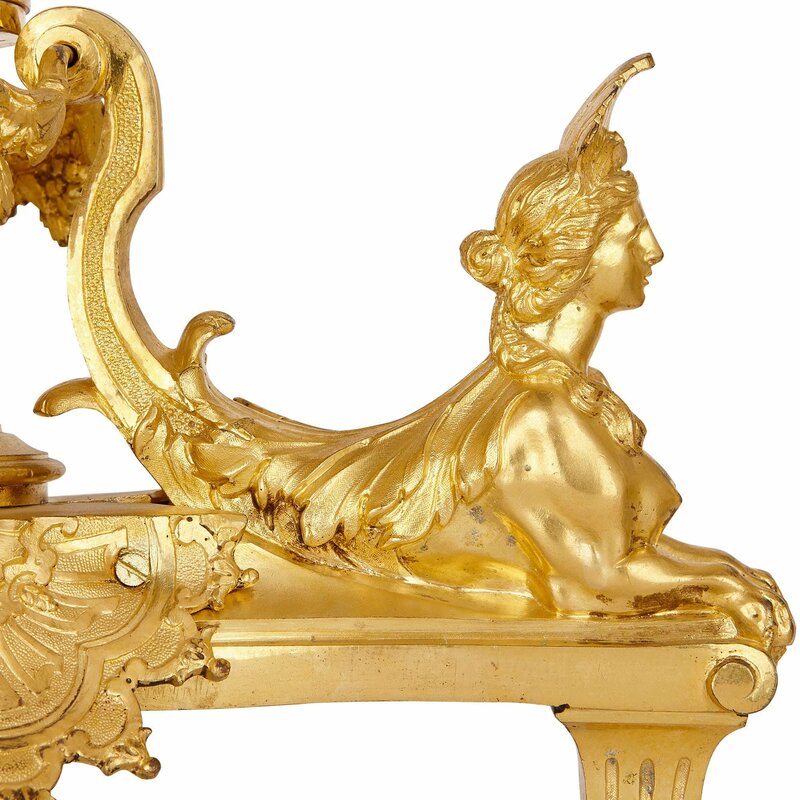 The 'Berainesque' style he created — characterised by its playful use of classical, grotesque and arabesque motifs — was very popular in the French court and became the forbearer of the rocaille, or Rococo, style.